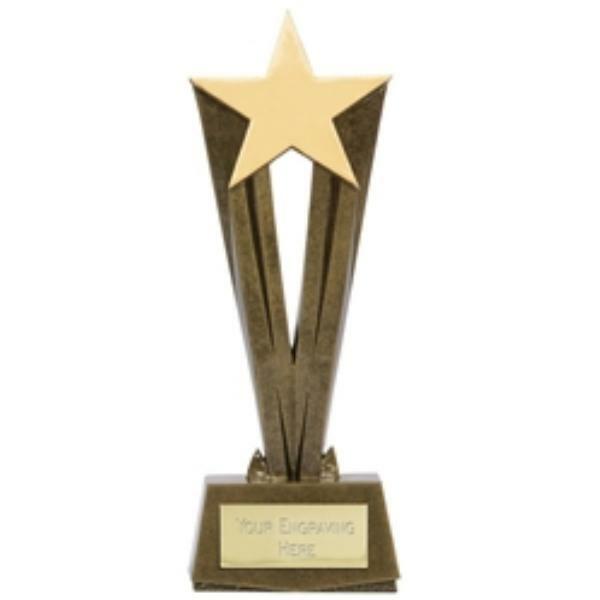 This engraved Cherish Star Award measures 19.5 cm high and has a gold effect base and plate for engraving. It can be engraved on the plate to make it suitable for the star or stars of any event! Up to 50 characters engraving to personalise the star award is included in the price, and additional characters are charged at 15p/letter. This star award is available in larger sizes, contact us for more details. The engraved Star Award is postage band B.